Blockbuster finally has an excellent promo and they didn't tell anyone about it! The only reason why I know is because my brother (who recently moved too) lives near a Blockbuster and doesn't have cable yet. He started doing this last week but who knows how long its been going on? I went to my local store Thursday and confirmed the details with the manager, who happened to be my cashier and probably considered me inordinately nosy. 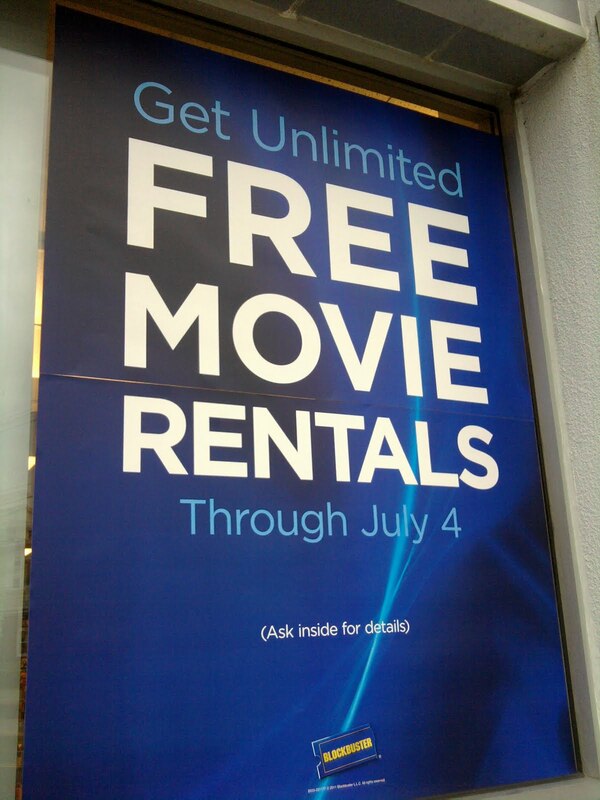 Blockbuster members get 1 free, 1 day rental DAILY until July 4th. Movies must be over six weeks old and are due the next day. After that you get hit up with the usual late fees. Side Note: Did you guys know late fees were back? Me neither. The manager said this promotion is nationwide but the only advertising I saw was that sign in the window.